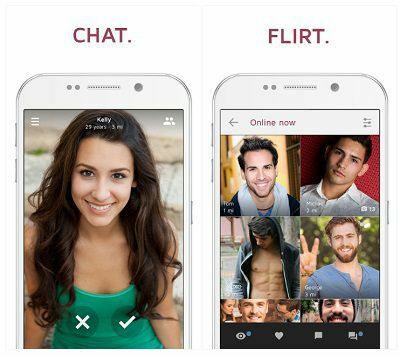 The Jaumo App is changing the way singles are dating, flirting and chatting online. Jaumo.com has got an Android, iPhone, and iPod Touch app which serves singles who are looking to date, meet online, and become part of a social network through their mobile phones acting as a messenger service. 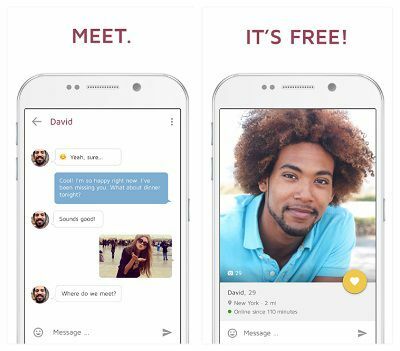 This review of the Jaumo free App found that anyone who’s into love, flirting, chatting, or finding other cool people and singles online should download the app to their mobile phone or tablet. Jaumo is all about meeting singles in your local area. This free app sends you matches according to your selected local range. Selecting your meeting radios is easy both on Android and iOS. We found very minor bugs in this singles dating app which operates smoothly on the mobile operating systems it was designed for. If you are looking to chat or flirt then this online dating app is perfect for use by mobile or tablets. You are welcome to find additional Android Dating Apps and iPhone Dating Apps which we have reviewed and choose the one you like if this app isn’t for you. The Jaumo mobile site has got no clear advantages. Although it is responsive, meaning that it will work on all mobile phones, it doesn’t offer a login option for users. It does however provide a way to reach the desktop version of the website through your mobile phone. This is kind of a half makeup because you can’t register and login via the desktop site either, and the desktop site is responsive and written in Html5, which doesn’t make sense to us at all. For now registration is only granted via the App and Facebook. 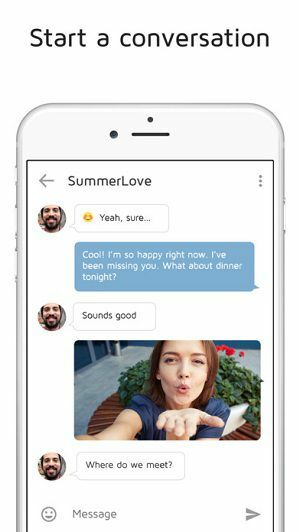 While the Jaumo App offers a new concept for flirting and chatting using a messenger UI, it lacks innovation as an online dating app. The like or dislike options are repeated here, and although it appears that many singles are using the app, it also seems that some aren’t that happy with it. For example some reviews on Google Play have mentioned that the app has too many ads running. However, the Jaumo dating experience for us has been positive thus far. So, we do recommend you to download the Jaumo App and give it a try. If you don’t like it you can always uninstall. What’s New in version 4.0.1? Will the app work on my iPhone 7? Yes, the app should work fine on all iOS devices with operating system 8.0 or later. I’ve just updated my Nexsus 5E to Android 7.0 Nugat, will the app work? Yes, the app will work on all Android versions 4.0.3 and higher. Why isn’t there a Blackberry or Windows Phone App for Jaumo? So far we haven’t been able to find an official blackberry or Windows Phone app. Good question! It would only serve the dating app better.